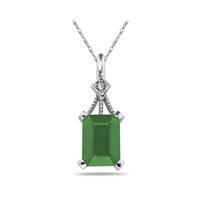 2 sparkling white diamonds weighing .23CTW grace either side of this magnificent all natural precious emerald gemstone. 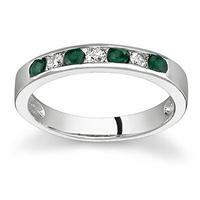 A stylishly sophisticated look. 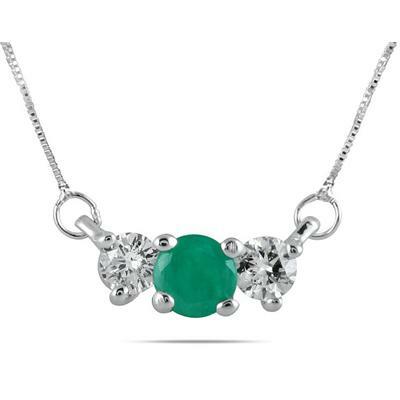 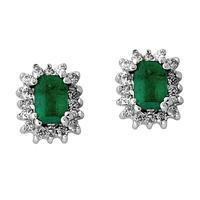 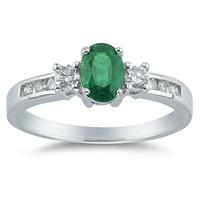 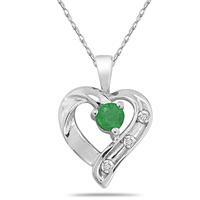 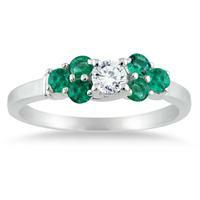 Emerald measures 4mm in diameter and each diamond weighs approximately .12CT, Color J-K-L, Clarity I2-I3. 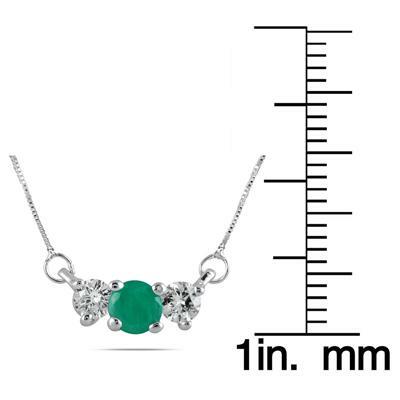 The pendnat hangs from an 18 inch box chain in 14K white gold.